Developing youth curling is crucial to ensure the future of our sport and is one of the top most priorities within CURLSASK. Introduction to the sport, learning the basic skills, meeting lots of other curlers, getting the chance to play and having FUN! are the main goals for all these programs listed below. That’s why CURLSASK offers FUN:)CURL, Camps, Clinics and U15 + U18 Bonspiels! VISIT OUR PROGRAM SCHEDULE PAGE FOR A FULL LIST OF YOUTH CLINICS & BONSPIELS WE OFFER. The newest of the instruction programs is the FUN☺CURL program geared for youngsters aged 6-9. It really is a great time. CURLSASK will provide the weekly lesson plans, tools and train the instructor. This is a program that utilizes regular curling rocks so there is no extra investment required by a club. 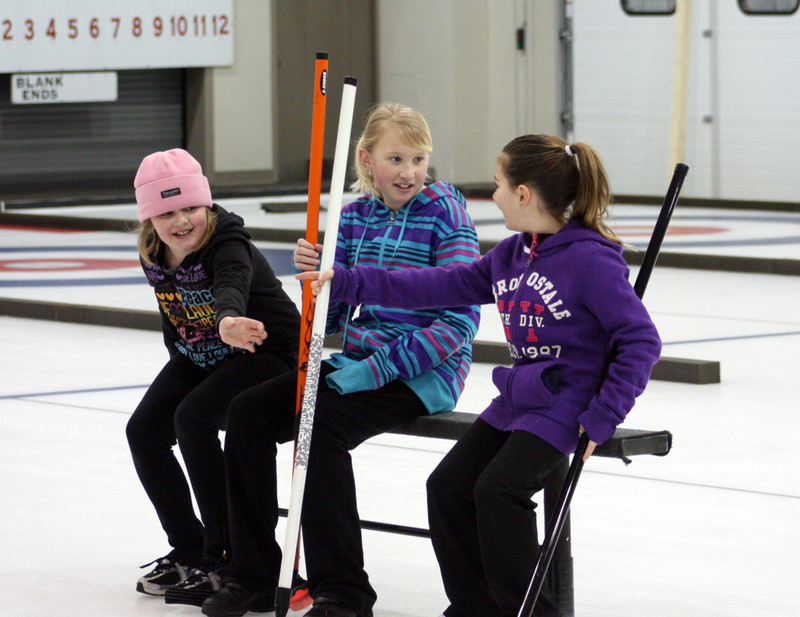 Throughout the curling season, CURLSASK will work with curling clubs to deliver skills clinics to players aged 10-17. A clinic may range from a half day to two days. CURLSASK provides certified instructors offering the latest of on-ice and off-ice techniques and will work with the club to develop the specific program. NEW! is the after school mini-clinic from 4:00-8:00 pm. This format provides 3 hours of on-ice instruction along with 1 hour of off-ice over dinner. A mini-clinic allows for much for scheduling flexibility and is eligible for a grant. 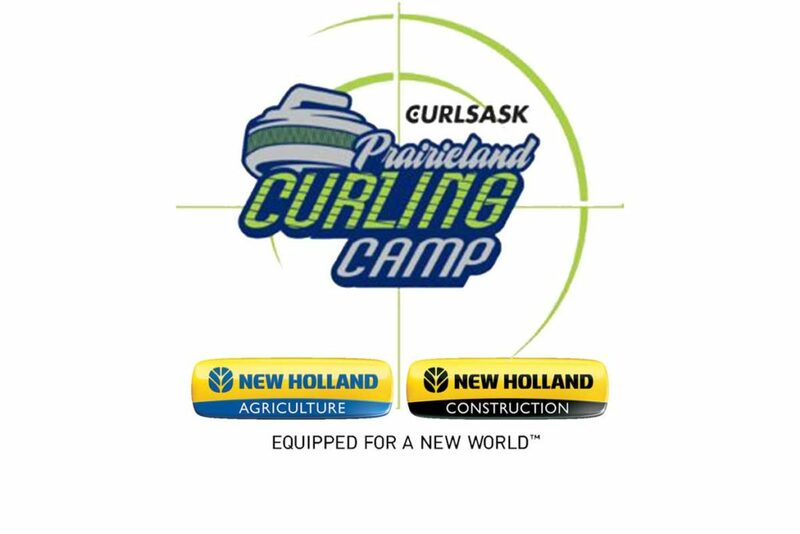 The flagship camp in summer is the New Holland Prairieland Curling Camp in Nipawin where 192 High School aged curlers from around the province hit the ice in one of the two fun filled camps in early July. 2018 Dates: Camp #1 will run from Wednesday, July 4th to Saturday, July 7th. Camp #2 will run from Sunday July 8th to Wednesday, July 11th, 2016. The Curling Canada Hit, Draw & Tap Championship (HDT) presented by CURLSASK is a youth skills competition where kids aged 8-15 compete individually against other youth curlers across the province of Saskatchewan. HDT will accompany three different age categories where they will perform three different skill based shots, a “Hit, a “Draw” & a “Tap”. These bonspiels are for those curlers under the age of 15. These events are a fabulous way to get some game experience and meet lots of curlers their own age. These bonspiels are for those curlers under the age of 18. These events are a fabulous way to get some game experience and meet lots of curlers their own age. Clinic Hosting Grants are available to assist CURLSASK member clubs to cover some of the costs of a clinic. Clinics are custom tailored for each club to meet the specific requirements of the attendees. If requested, CURLSASK will provide certified instructors, create a program for the specific requirements of the participants and help promote the event. Grants are available for the CURLSASK U15 & U18 bonspiels. FUN:)CURL grants available for the 2018-19 season. Note: Member clubs that organize their own clinics independent of CURLSASK may also apply for the Clinic Hosting Grants. Send in the Clinic Request Grant form with the appropriate details to receive some funding. Make sure you send in the details ahead of time so it may be listed in the Club Events section and on the CURLSASK Facebook page. There are limited funds for grants so the sooner the better for sending in the Forms. For clubs wishing to organize a youth clinic, some FUN:)CURL lessons or a Tim Hortons U15/U18 spiel all it takes is an email or phone call to CURLSASK. Parents – put in a call to your local curling club to start the ball rolling. We want to see our youth on the ice and CURLSASK is here to help!